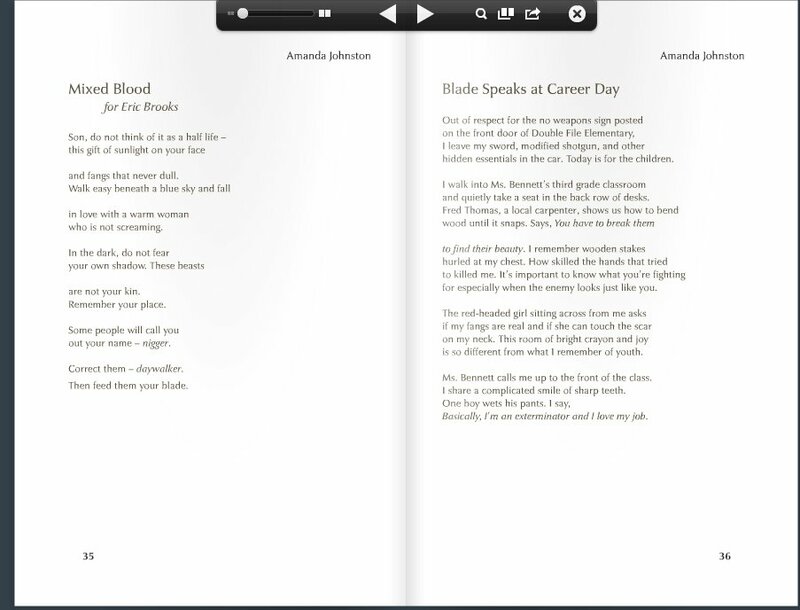 Women Writers in Bloom is a literary salon I started attending a couple of months ago and this month’s featured Texan poet Amanda Johnston. Today I feature her here with some of her poetry influenced by science fiction/fantasy films, like Blade and The Matrix. Here is a recording of one of Johnston’s Matrix-influenced poem, “Girlfriends, There Is No Spoon,” that will be in her upcoming collection.